Meet the CTO of DevNet and see how she's inspiring people to invent through software. Susie Wee believes that deep down, everyone is a developer, and she's made it her mission to provide people the tools to create and innovate using software. Wee is the VP and CTO of DevNet, Cisco's developer program. DevNet helps application developers and network and IT professionals use Cisco's platforms and API's to build solutions and applications. "The whole world is moving to software, to cloud, to services. 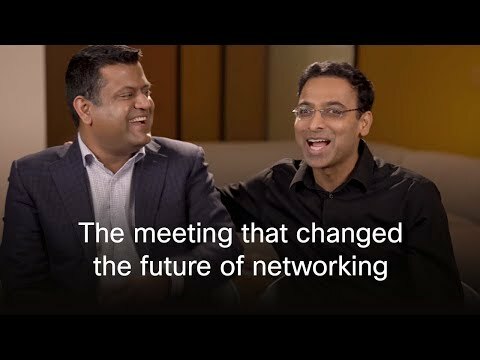 What happens is Cisco's portfolio of products can really plug into that modern ecosystem in different ways," says Wee. "DevNet really helps solve business problems. It opens up our products in new ways. Instead of just buying a product and having it work well, now you actually open up APIs and allow others to integrate the tools and products we provide into their workflows. Or people can create entirely new solutions using our products as a platform through those APIs." DevNet, launched in 2012, has seen phenomenal growth. Wee says her team functions much like a startup and she credits them with the program's success. She says they are dedicated to making the best developer program out there. "Our team members are good in all different types of areas. We have people who can code day and night, the crackerjack developers, we have awesome developer evangelists, we have people in marketing, we have people who run programs and events, we have people who go out and play systems and keep them running, we have just about every skill set you can think about." There is no typical day for Wee. One day she's speaking to developers, another to executives, the next she's on stage giving a presentation and sharing her passion for DevNet. On her rare downtime, Wee loves spending time with her family. She has a two-year-old daughter whom she credits with giving her a lot of perspective and energy. Team sports are another passion. In fact, Wee plays ice hockey. She says the challenge of competing in a game and winning is exciting. The love of team sports is a thread that transfers to her DevNet family at Cisco. "DevNet is really exciting to me because it really works to my passions. My passions are enabling other people to innovate and succeed by learning new skills or by creating new solutions."